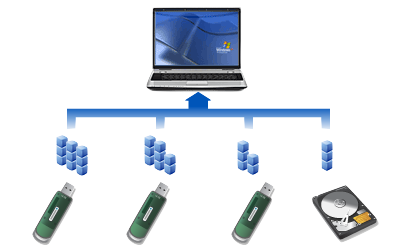 Hard drives store data sequentially. It performs many searches rather than locating important data quickly, hard drives will search through all of the data it has until it finds what you need. This mechanical process creates long loading times as you wait for your computer to find important data. The more data that is stored on your hard drive the longer these waiting times will get. 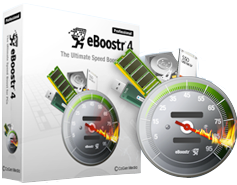 This does not affect just file retrieval but the performance of all programs and applications on your system, including Windows, Games, etc... With eBoostr this process can be avoided completely by backing up your hard drive in its task with other storage device like USB flash drives or additional hard disks. The latest version of eBoostr shows even better results than before, give it a try by downloading the free trial version today! The more a hard drive is used, the less efficient it becomes. As data continues to be read off of the disk, friction between that disk and the reading head slowly accumulates. Anyone with a hard drive that starts to get old has noticed this. Hard drives that are used often will also become noisier as friction on the disk increases. Besides making noise, this also makes searches longer slowing down your computer. 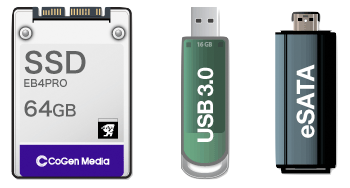 By loading data onto USB flash memory or additional hard disk, eBoostr makes those data easy to access and reduces the load placed on your main hard drive. 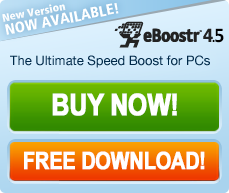 By eliminating these frequent searches, eBoostr helps your computer to reach better performances !